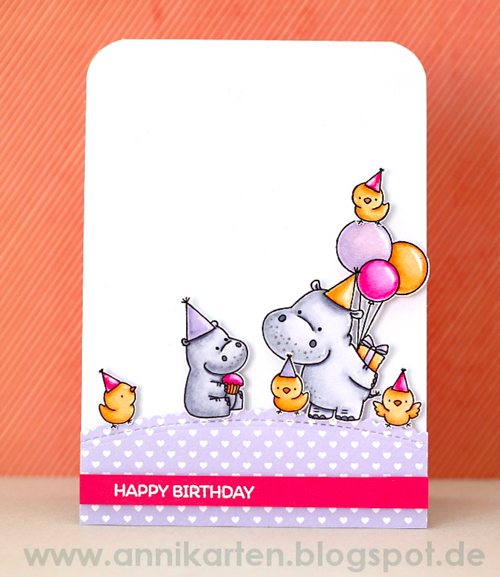 Sweet hippos with a quartet of yellow chicks is an adorable way to say Happy Birthday. Anika's soft color palette on both her images and patterned paper, help her sentiment stand out and unifies her entire card design. We adore this winter-themed holiday card by Natasha. 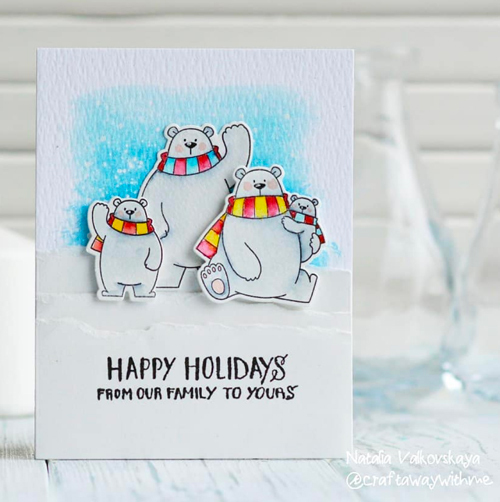 Adding a watercolor background is a great way to separate the white polar bears from the white card base and illustrate a chilly scene. 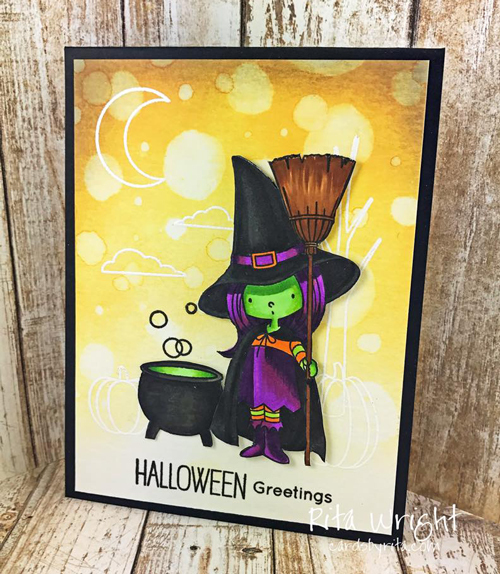 We never get tired of seeing the many amazing ways everyone colors the witch from the Witch Way is the Candy stamp set and Rita's card is no exception. Bright, vibrant colors on her image and an amazing inked background make for a fun and impressive Halloween card. We think that creating an entire fireplace for a card base is a genius idea. 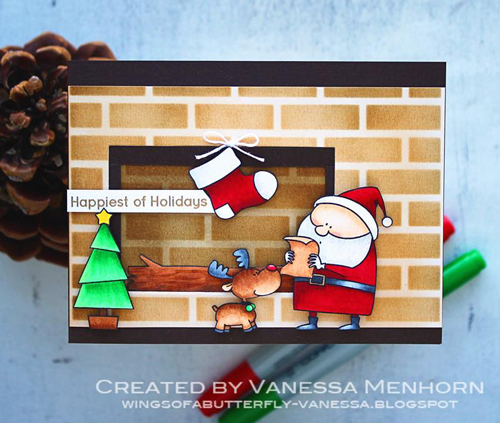 Vanessa created a holiday scene with the Merry Everything stamp set and an inked brick background with fun dimension and details. 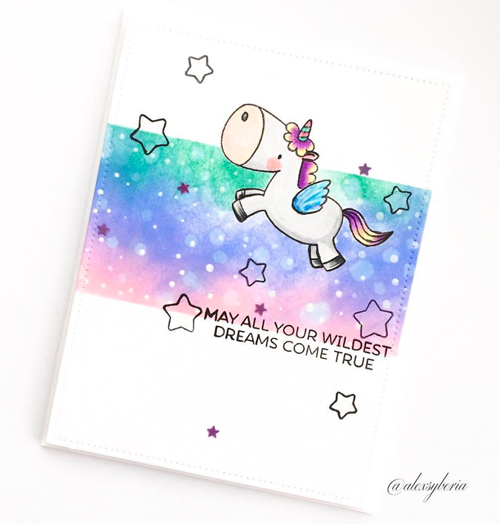 Unicorns, stars and rainbows are the perfect combination on Alex's card. We love the masked area with the blended ink and the soft spots created within her beautiful sky. Her unicorn image looks right at home among the stars and celestial background. So honored to see my card among these amazing projects! I am glad you like my fireplace! All projects are so beautiful! How exciting to see my card caught your eye!Thank you so much!